"What’s shocking is that a lot of research has been done with the folks at Electronic Privacy Information Center (EPIC) that actually indicates that these scanners do not work. In fact, the safest airport in the world, Ben Gurion International Airport in Tel Aviv—their security experts rejected the scanners. 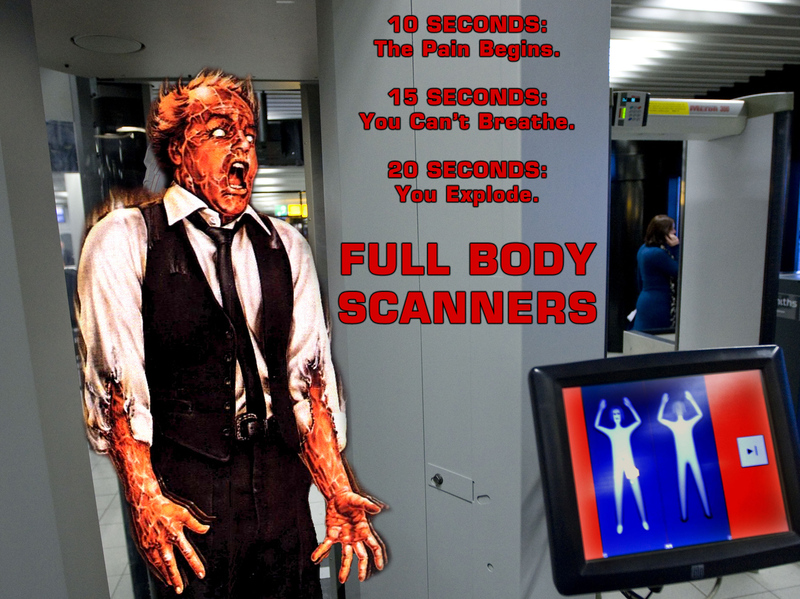 The former head of security at Ben Gurion said you could get enough explosives through these naked body scanners to blow up a jumbo jet." -David Greenfield, New York City Councilman representing Brooklyn residents living in the 44th Council District. With all the protests and inquires directed toward the TSA these days (source and source), we have quite a controversy, indeed! But it might make an exciting horror film.